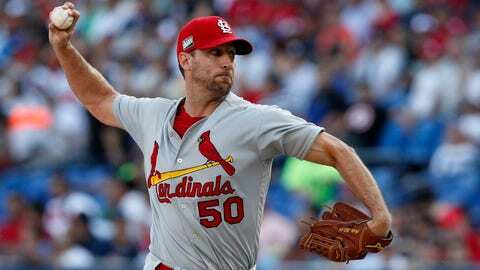 Adam Wainwright began Saturday's start with 5 1/3 no-hit innings, but he ultimately gave up two solo homers while lasting six innings. Gallegos had several family members at the stadium but did not get a chance to pitch. Cardinals: RHP Miles Mikolas (1-1, 6.19 ERA) starts Sunday. He pitched five innings, allowing five hits and three runs against the Dodgers to get his first win of the season on Monday.